Tuckpointing is a mortar repair technique that replaces the deteriorated mortar between bricks for aesthetic appeal and structural support. It’s often used to preserve historic buildings, but it can also be used to restore chimneys and brick homes or businesses. 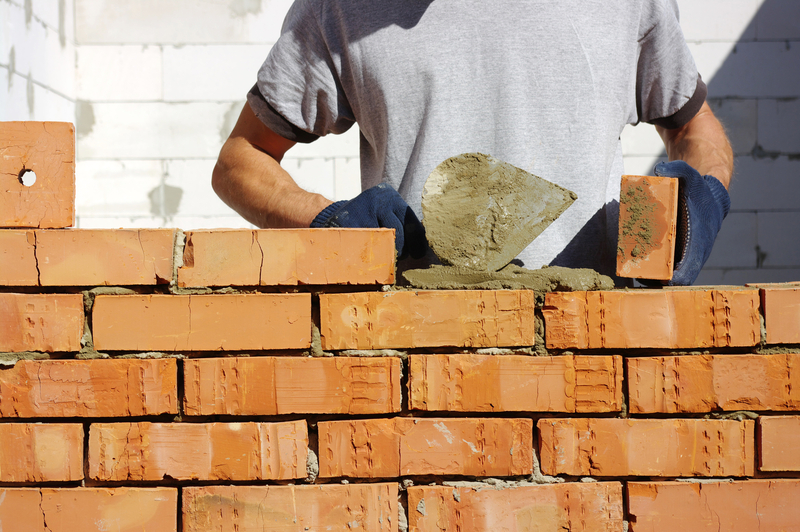 The following information is a guide to learn more about this specialized masonry skill. Many brick structures experience mortar deterioration at the joints over time. A masonry expert will remove part of the deteriorated mortar, replacing the old material at the joints with new mortar that matches the color of the brick. Then they putty in a contrasting color that is applied down the center of the joint. The technique is used to restore the appearance of a structure, but it also waterproofs the joint and prevents other substances from entering. Tuckpointing is used when rebuilding a brick structure is too expensive or labor intensive. Specialists use wet cutting diamond blades to remove damaged mortar and apply new material. The finished product creates a fresh facade that is also structurally reinforced. Masonry contractors provide tuckpointing services, but when you interview candidates, make sure you specify the services you’re seeking. For example, does your chimney need to be replaced or is tuckpointing the better option? Is the service to restore a historical building, or repair damage to a contemporary structure? Consider the contractor's reputation, experience, and reviews. Only select a company that is licensed and insured. If you have a crumbling brick structure in the Independence, KY, area, contact the specialists at Myers Brick for help. They specialize in jobs of all sizes for residential and commercial properties, and have a strong reputation for quality service and craftsmanship. Call (859) 743-3850 or visit their website to learn more about their tuckpointing process and other masonry services.